My mom was the one who turned me onto Bob Dylan. Many years ago. I was just a wee lad. She was the first one to bring a Dylan album home. I was the one who became the life-long Dylan fan. When I say “Dylan fan,” I primarily mean this Dylan, the mad, visionary, stream of consciousness, poetry-wielding Dylan; the spindly guy with the mercury mouth, spitting out strange, beautiful, extraordinary, lyrical rivers of words at a dizzying rate. The young rock and roller who over-stuffed his songs with lyrics and imagery so vivid and thought-provoking, no one else came close. A snappily-attired little dude in suits, black shades, fuzzy hair, with a stilted and cryptic manner. The Dylan of “Highway 61”, “Blonde on Blonde,” , Bringing it All Back Home, and the legendary “Judas” 1966 world tour. The nearly out of control, walking on a razor’s edge Dylan. The one who looked like he was lost in an amphetamine-fueled dream, running at a jittery, hyper-speed because he was onto something new and strangely uncommon, and he had to get it down on paper, recorded to tape, before it burst into flame, or evaporated. 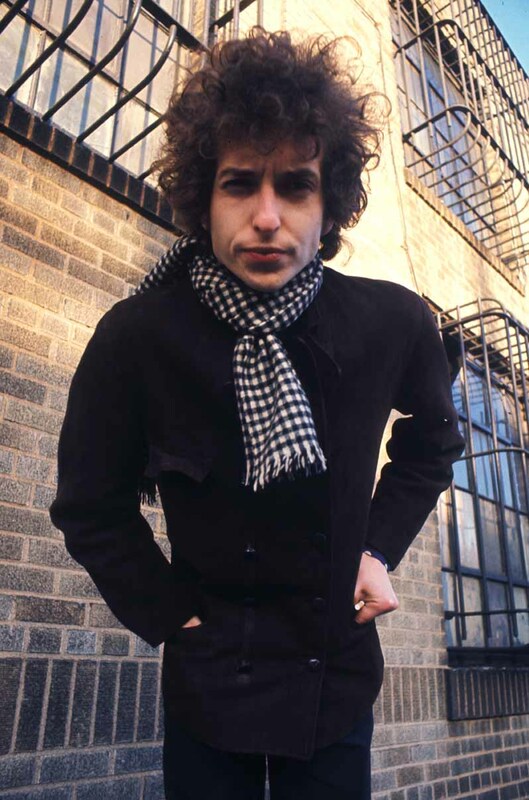 It is this Dylan, this voice, that I turn to when I hit bottom. It’s this Dylan that inspires me, and makes me laugh. He reminds me that a song can be art, and art can be everything. Alive. No rules, no boundaries. Listen to “Like a Rolling Stone,” “Desolation Row,” “Positively 4th Street,” “Visions of Johanna,” “Sad-Eyed Lady of the Low Lands,” “Mr. Tambourine Man,” “Just Like Tom Thumb Blues,” “Tombstone Blues,” “It Takes a Lot to Laugh, it Takes a Train to Cry,” etc. – thrilling, dazzling.